Beat the Q is a great little app if you happen to work in the Sydney CBD or in any surrounding areas where there are participating businesses. It's a convenient way to order a coffee or food while you're on the go -- all you have to do is walk in to the cafe and pick up your order without waiting in the queue or for it to be made. 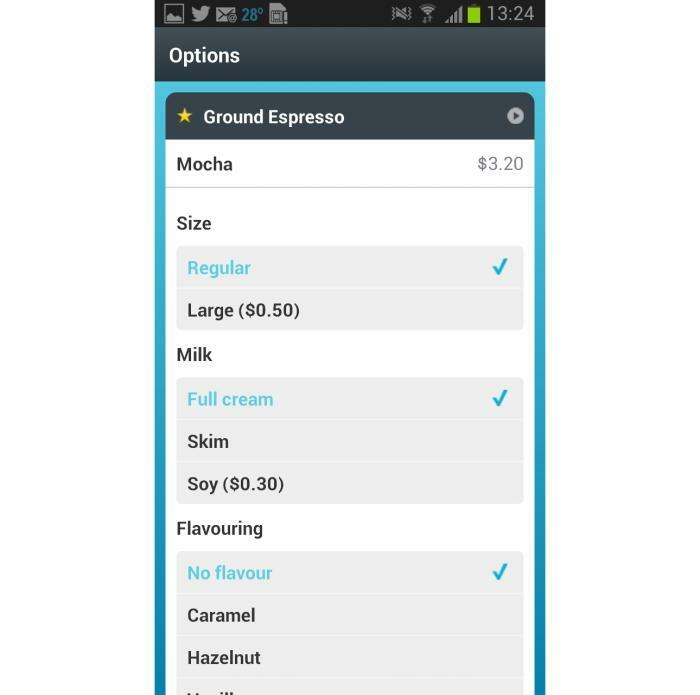 Beat the Q is an Australian app that aims to streamline the procurement ritual of the morning coffee. You can use it to place an order and pay for it while you're en-route to your favourite café, and simply walk in to collect it without waiting in line — like a boss, as the kids say. It's a great concept and it works really well — but you do have to be in an area where there are participating businesses. To use Beat the Q, you'll need to create an account and top it up with some credit. 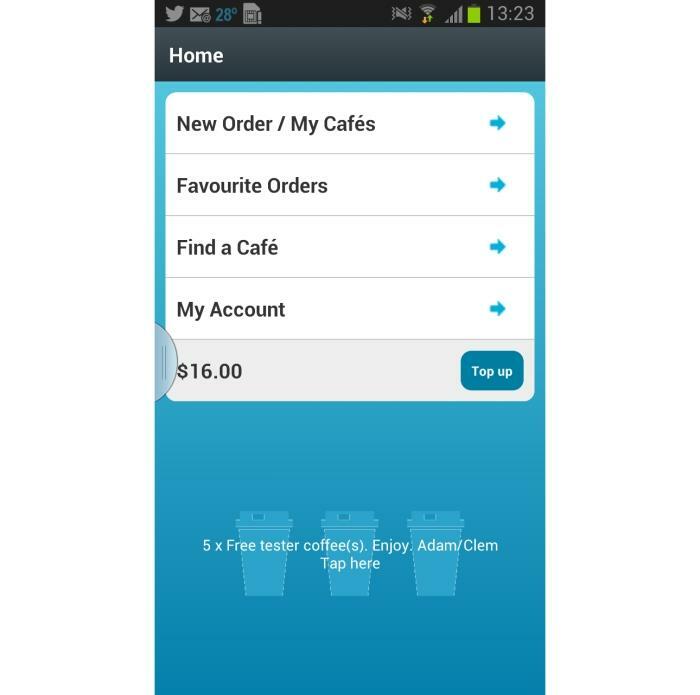 This can be done easily within the app, the easiest ways being either with a credit card or PayPal account. There are a few increments you can select from to top up your account, but the smallest is $25. We would prefer some smaller amounts, too, say $10 or $15. The good thing is that with some cafés, you can also choose to order food rather than just a coffee, so the extra credit will come in handy for that. Currently there are a fair few businesses that are available to purchase from using Beat the Q, but you'll have to double-check that your favourite cafés in your area are available. (If they aren't, you can always tell them to sign up to the service). There are clusters of cafés available in popular Sydney areas, such as the CBD, North Sydney and Bondi, and you'll also find businesses in other surrounding areas, such as Manly, Newtown and Alexandria, for example. You can search the list of participating businesses, either by name, suburb or by post code and then add them to your favourites list. The post code search wasn't accurate during our tests, returning many results from different areas; it was much easier to search by typing in the suburb name, which returned precise results. 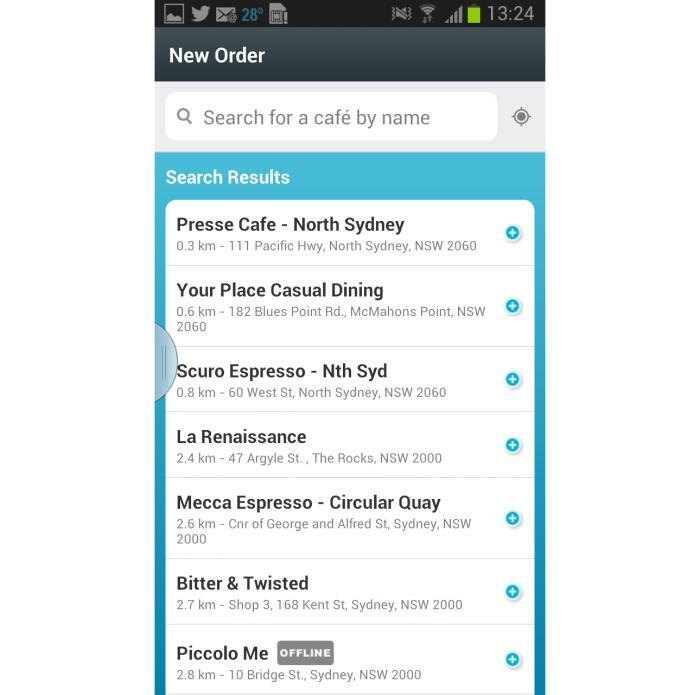 More conveniently, you can use the location search to find a café that's near you. This is the method we preferred, but repeated use of this function placed cafés that we had already added to our favourites at the bottom of the list, which we found a little unintuitive. We would prefer that our favourites be listed at the top instead. When results are listed, you can click on a café's name to gets its address, and then click on the supplied Google map to get a visual. In our test location, North Sydney, lots of results were returned when we asked the app to auto-detect businesses based on our location, the first few actually being from North Sydney. However, many results were from places as far away as Mosman and Darlinghurst. Nevertheless, we selected the nearest café to us, Ground Espresso, and placed an order for a regular mocha. There was no queue by the time we got to the café (we placed the order just before the lunch rush, it seems) and we were able to walk in, pick up the coffee, and walk out in record time. Even without any queues to deal with, it's a nice feeling to be able to walk in to a café knowing that your order is already prepared and ready to be picked up. At this particular café, orders that have been placed using Beat the Q are tagged with a little blue sticker and marked with your name. Simply rock up and either pick up your order or tell the person behind the counter that you did a Beat the Q and supply your name. It's very easy. The ordering process is detailed so that you can specify drink size, milk type, sweetness and flavouring (if applicable). 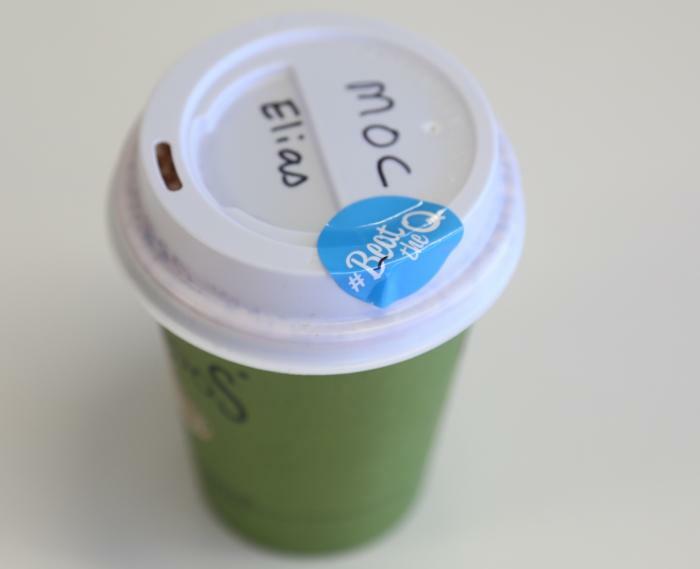 A Beat the Q coffee marked with a little sticker. We used the app to order lunch from another local café in North Sydney (GG Espresso), too, but were a little too eager to eat and ended up getting there just as our sandwich was getting toasted — as luck would have it, we ordered in the midst of a bomb threat in the area, which affected the lunch rush and meant there was no queue. At this café we just gave our name. We didn't get a little sticker on our order though. In our experience, there weren't any hidden costs when we ordered; what the menu price said was what was taken off our credit. There is an order history you can refer to, too, so that you can easily see how much your daily coffee intake, and perhaps lunch or breakfast, is costing you at your local cafés. It's definitely an app worth checking out as a consumer, but double-check to see that there are businesses near you that you can use. If you run a café, you should consider joining up, especially now while it's a fairly new service. It's available for Android and iOS. Corporate accounts are available for mass orders.